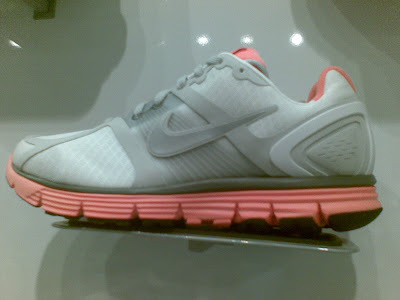 The Nike LunarGlide+ is out in the stores. The blurrycam is even blurrier this time. 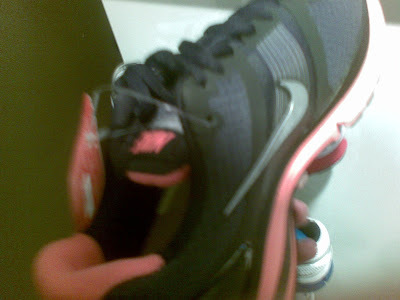 Maybe I can use the blurriness as an excuse to get a new phone. 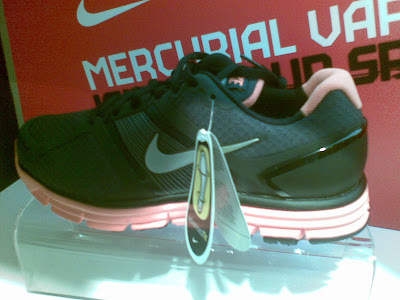 Last one is the women's version. I have my own domain name now. Yay! Just in time for the first anniversary too. The old ivoidwarranties.com used to sell T-shirts that in my opinion looks far worse than the one available on ThinkGeek. This is also the first time I registered a domain for my very own use, eventhough I've been doing the registration thing for others for more than ten years. Anyway, this blog is now available on both www.ivoidwarranties.com and on the regular ivoidwarranties.blogspot.com. Eventually I'll probably want to do something else with the domain name, but this blog of randomness will do for now. Like many iPhone / iPod Touch owners, I kept clicking on Check for Updates for 3.0's release, and a post on Engadget said that it will be released at 10 AM PDT, which is exactly midnight here. And suddenly, there it was! 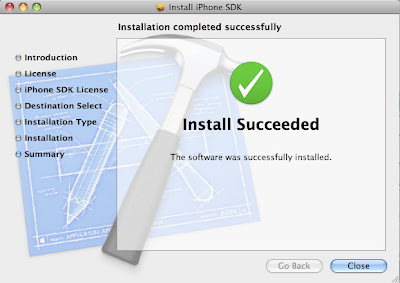 ... still can't get iPhone OS 3.0 for my iPod, but I could get the SDK. I talked about our flailing ERP project earlier. Stupidly enough, half a year has passed since that post, and the project is still getting nowhere. I did get an invitation from Microsoft to join the Dynamics | NAV Customer Connection event that took place earlier this week. At the event, Microsoft representatives explained features of the new Dynamics NAV 2009 version. Which was pretty sad for me to hear, since we paid for NAV 4.0 (I still have the unopened installation CD), then upgraded to 5.0 during the implementation process, and now 2009 is on the horizon, and we still haven't gone live yet. Of course, I took the opportunity to vent to the Microsoft representatives about how hopeless my NAV partner is. They appeared to take this matter seriously as they took copious notes, and promised to call me back. 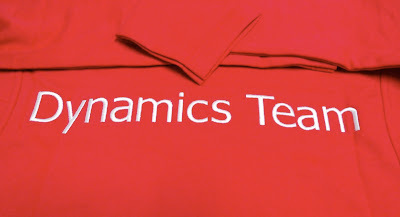 But the best part about all this is that they gave me a Dynamics Team jacket for my troubles. So at least now I have something to show for spending $100,000 on the ERP project. 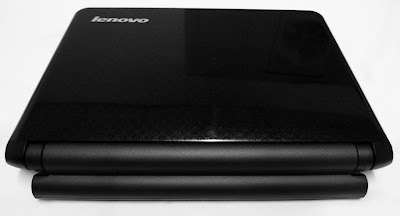 The newly introduced Lenovo S10-2 in shiny black. 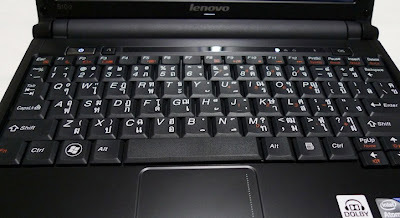 The almost-full-size keyboard is much easier to type on than the S10's. 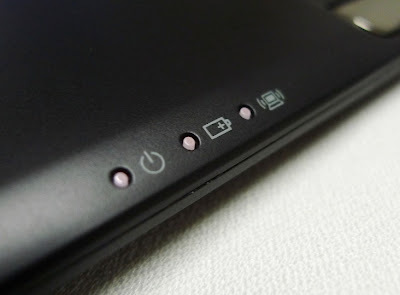 The touchpad buttons are also much easier to press than the S10's. Shot from the hinge area, showing the protruding 6-cell battery. The very dim indicator lights. This picture actually shows the lights being on. The wireless indicator light blinks if Wi-Fi is turned off while Bluetooth is turned on. In completely unrelated news. 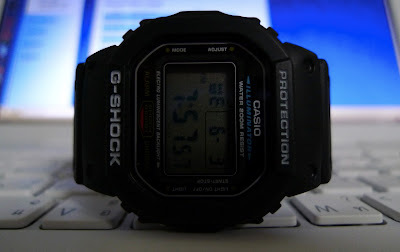 I also got a G-Shock DW-5600E. One of the cheaper ones, but I've wanted one for the longest time. 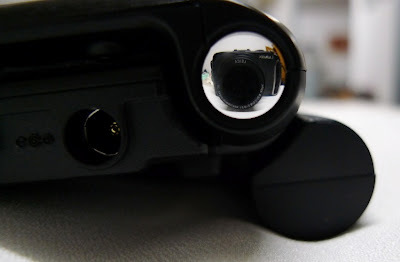 Update (2009-11-18): Five months later, the S10-2's hinge developed a crack. 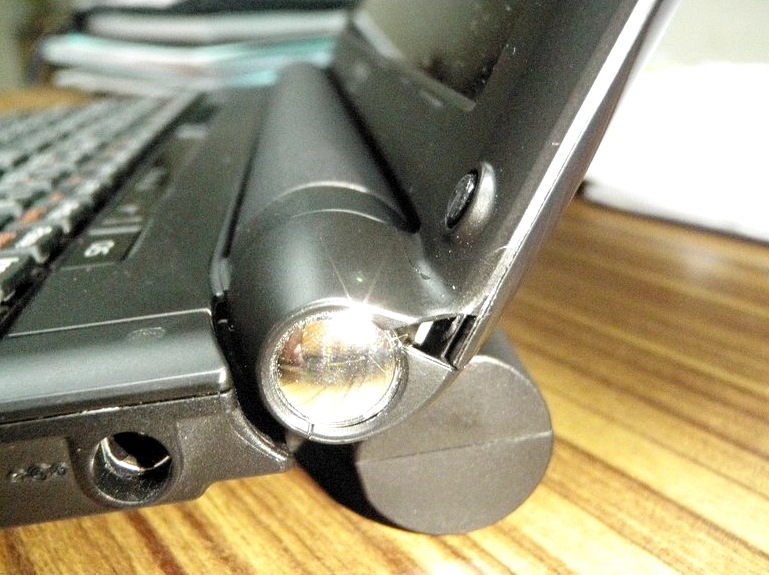 The S10-2's hinge suffers from a design problem: the screen can't be opened too wide without hitting a rubber stop. Unfortunately, often times if the netbook is placed on a low table or on the lap, the screen needs to be opened up wider for a better viewing angle. This picture actually shows the screen opened up to the maximum angle. 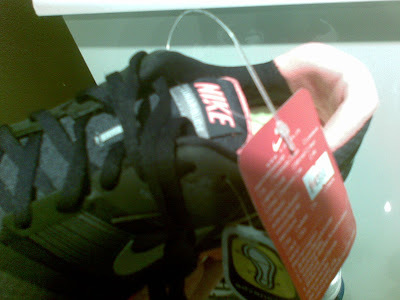 The area right behind the crack is the "screen stopper" that causes a stress point at the crack area. When I got to work this morning, I found my Internet got disconnected due to suspected virus activity. The stupid ISP helped me fight virus by turning off my Internet access. Of course, I don't have any virus activity or even any P2P activity. Everything is normal and we've used only 3 GB of data yesterday. Piece of crap.